You’re embracing your inner girlie girl and what better place to do this than in your sanctuary of peace and cleanliness, right? Wrong. If it’s pink and fluffy that you want, save it for a bedroom, as anything furry near a toilet is – let’s face it – gross. And looks like you live in the 1970s. If you really want to add some colour, why not take a look at some bathroom paint trends that will actually make the space look much better? A decade ago you may have opted for carpet thinking it’ll be cosy, but now all you can think about is the damp and dirt that’s lurking in those fibres! You used care enough to try and keep it dry, but now a squelching floor and sodden socks have become the norm. 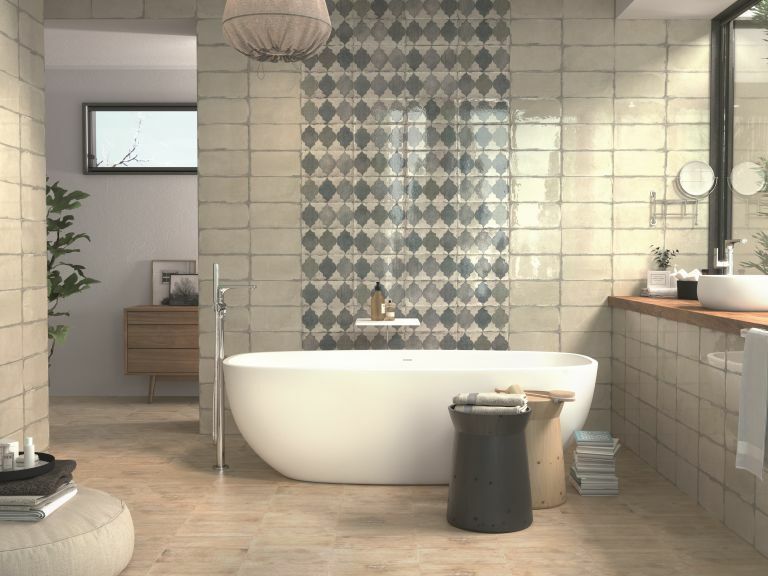 Find out how to choose the best bathroom flooring, and say hello to a brand new, stylish and practical floor. You wince at just peering into the bath and seeing the grime and mould that won’t budge no matter how much elbow grease and Mr Muscle you use. The thought of sitting in it sends shivers down your spine. It’s alright though, if you don’t look at it, it can’t hurt you. Or can it? It might be time to get a new bath. Industrial chic is bang on trend for a kitchen, so who says this can’t work in a bathroom? Exposed pipes are a hot new trend and you’re just rockin' this look in your own unique way. Sorry guys, this is one room where pipes should be hidden away – find out how it should look with our guide to bathroom plumbing. Two minutes into every shower you find yourself standing in a pool of luke-warm water. No matter how many times you clear that drain, the pond always returns and limits your shower to 30 seconds or you risk flooding the whole bathroom. Your first step is to unblock the drain. Hair and soap slime (especially when combined) will quickly cause a blockage, so carefully remove anything you can reach through the plughole, then use thick bleach or special drain unblocker. If you are still having issues, call in a plumber – or if aesthetics is also an issue, why not buy a new shower? You used to take pride in your bathroom and scrub it until it gleamed. But now there’s only so much you can do. You’ve become so used to the discoloured grout and water stains that you barely notice them, no one notices tiles, do they? Yes, yes they do. Choose some new bathroom tiles. What better way to add a splash of colour to your bathroom than with a nice bold shower curtain? It may be mouldy and discoloured at the bottom and you spend your shower avoiding touching it, but it’s practical and keeps the rest of your bathroom safe from shower spray. You deserve a new shower enclosure or screen if you ask us. You’re adding a quirky touch to your bathroom with some clashing colours and patterns, because that’s all the rage right now. Layering bath mats to create as much distance between you and the rotting floor as possible is a great solution, don’t you think? That floor will need replacing sooner or later, but in the meantime, see our pick of the best bath mats. It was there when you moved in and now it’s just a familiar sight. You’ve never actually used it for its intended purpose, but if it wasn’t there, where else would you rest your leg to moisturise? You keep telling yourself it’s just a hint of vintage chic and net curtains are easy way to protect your modesty. But there’s such a thing as obscured glazing these days, or window films…. anything but net curtains, basically!